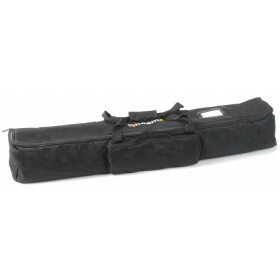 The AC-425 Soft Case is newly designed to protect and extend the life of mobile lighting fixtures. Its wide opening allows for a variety of fixtures to fit inside and gear to be removed quickly and easily. It fits other products and accessories as well. Comes with a divider to handle 2 LED Bars/Tubes. Suitable for mobile DJs, Karaoke rigs and working bands.